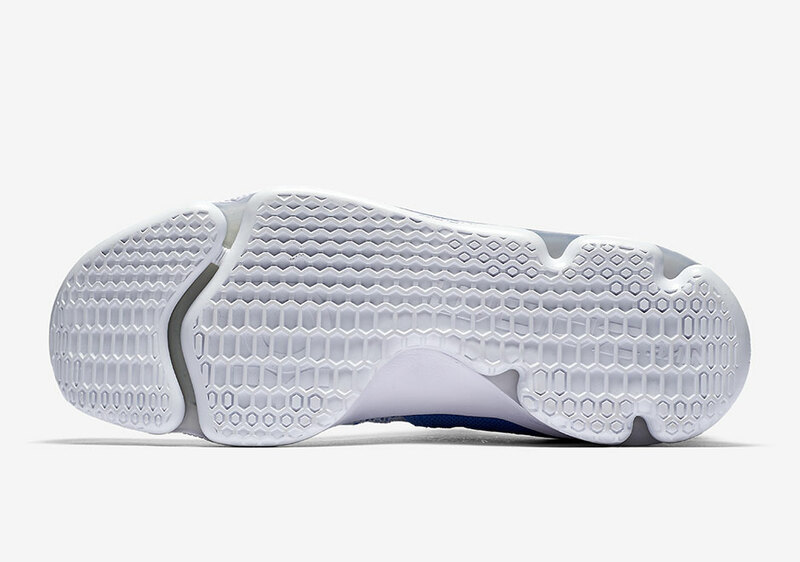 The Golden State Warriors are rolling. Not only did Kevin Durant stop LeBron and company in their tracks in the defending champs’ return to Oracle Arena, but he also dissected his former team with 40 points on just 16 shots earlier this week. 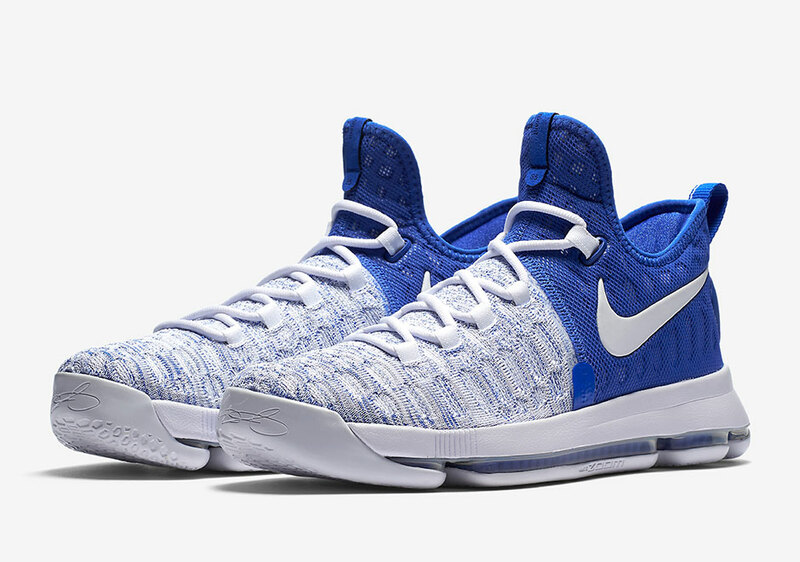 In honor of KD’s new home, Nike Basketball is releasing yet another “Home” themed version of the Nike KD 9 in the near future featuring a simple combination of White and Varsity Royal accents. 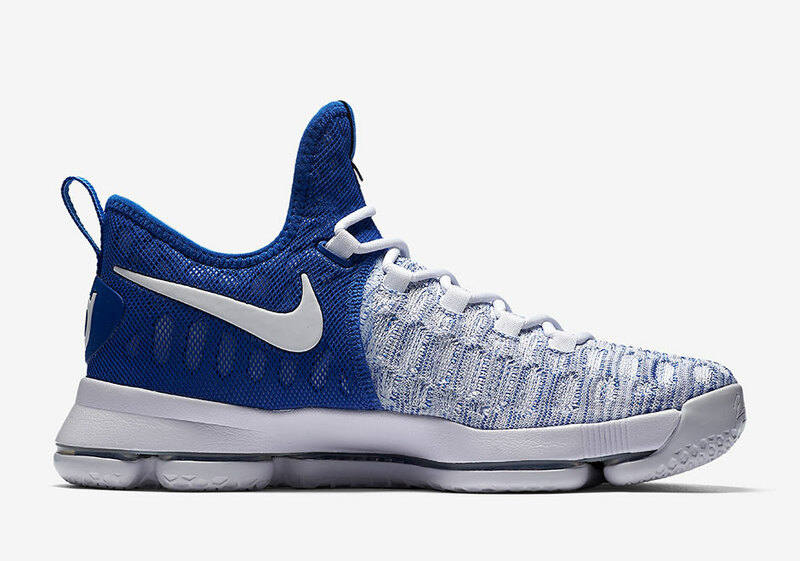 The KD 9 Home benefits from a slip-on Flyknit upper featuring full-length Zoom Air on the footbed for a seriously comfortable ride. 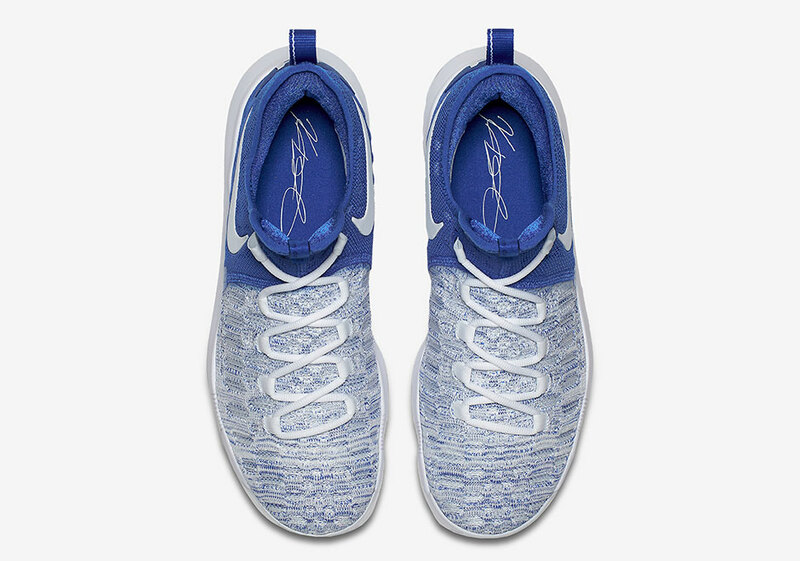 Here we see the KD 9 Home split between a marbled white and blue toe and forefoot while the heel contrasts in a solid royal color blocking to allow for the all-white Swoosh branding to stand out. 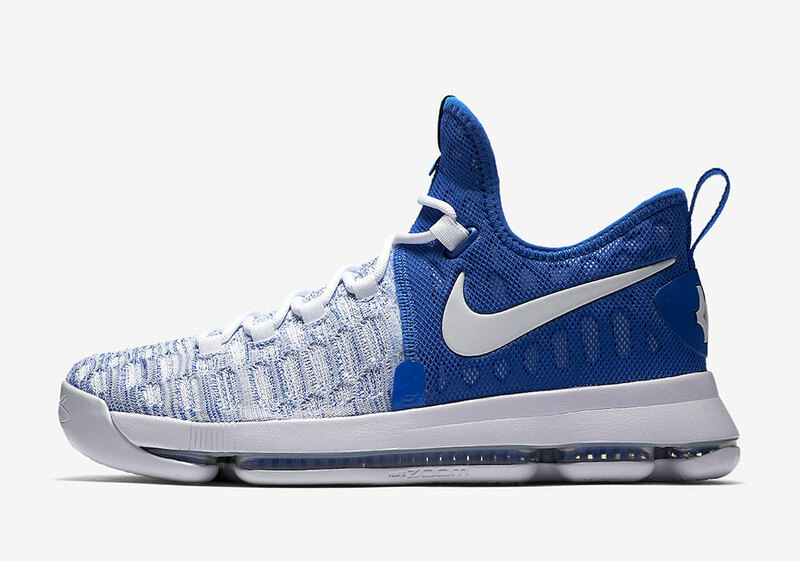 What do you think of this simple yet effective KD 9 colorway? 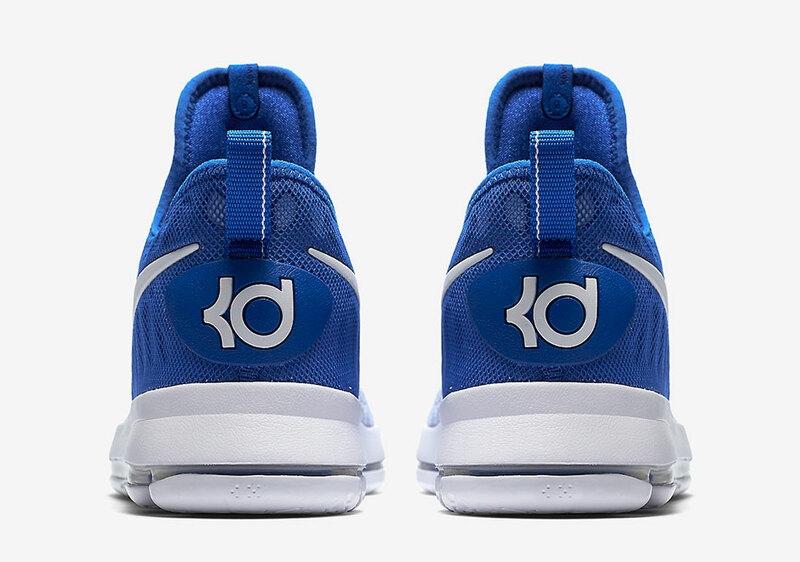 This pair is already confirmed for a February 16th release date in Europe, so stay tuned for a stateside release date in the coming days and check out more detailed photos of KD’s latest Warriors-themed offering below.